Home » Article of the Week » Who Won the bobuCuisine Contest? Last week, we announced a new contest with a total of five lucky winners, with everyone hoping to win a surprise gift from bobuCuisine. 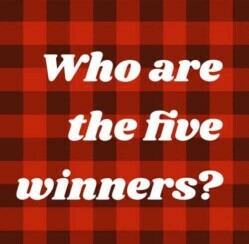 We had so many entries, but we now can say the five winners! Read on to find out if you were one of them! bobuCuisine is a company that makes kitchen tools, but ensures that the addition of these products to your daily routine results in a healthier lifestyle. They specialize in products that will improve your mind, body, and everyday living. From glass teapots to fruit-infusing water pitchers, this site has everything you need to start the new year off right, especially if your resolution is to get healthier. You can buy them for yourself, or maybe you won! Keep reading to find out! If your name is listed above, congratulations! You can email us at [email protected] to claim your prize. If you don’t see your name, don’t worry! We’ll come back with another contest soon, and you can enter that one too! We hope everyone had a Merry Christmas!